This spring semester, UNIS runs the AB-208 course “Internship in Arctic Biology” for bachelor students for the first time. The course aims at giving students the possibility to get knowledge and skills not easily obtained in class-room settings. It has been developed in close collaboration and with help from the internship course BIO298 run at UiB (https://bioceed.w.uib.no/biopraksis/; bioCEED PRIME project). The course developed at UNIS is longer than the one run at UiB. Worth 15 ECTS, it includes a rather long internship of 240 hours. While the student’s main task will be doing hard work for and with locals employers, the course also involves participation to seminars and reflection and documentation of their internship experience. All students will write and share blog-posts online, and if you are interested in reading about their journey, they will be available at https://blog.learningarcticbiology.info/, with the first batch of blogs being posted around February, 3rd. Since this is the first time such a course is given at UNIS, it will be interesting to see how it all turns out. The course will start out with five students, working for five different employers here in Longyearbyen, Svalbard. 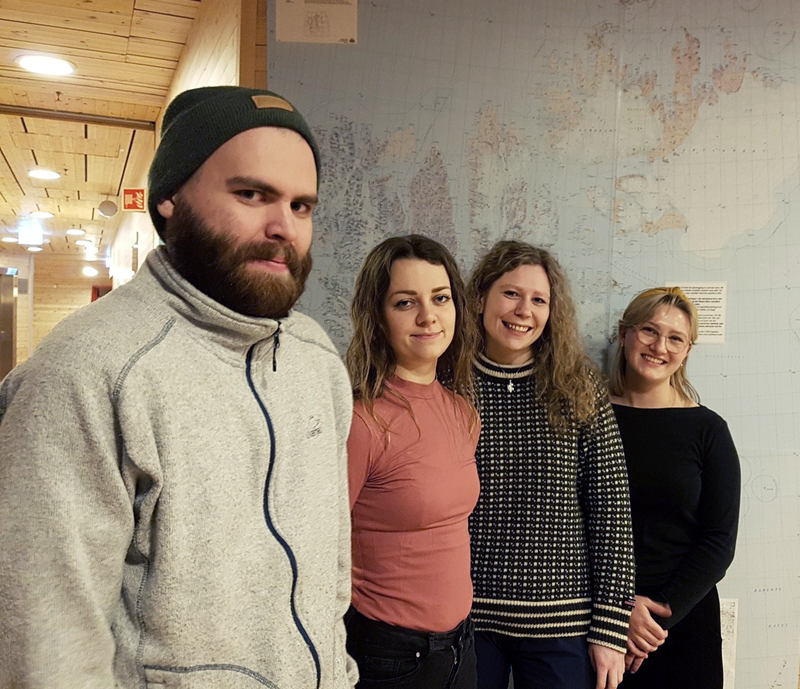 The students and their employers are Anna C. Grimsby, UNIS Arctic Biology tech; Ingvild L. Sørensen, SIOS (Svalbard Integrated Arctic Earth Observing System); Simen S. Hjelle, bioCEED; James Davidson, Arctic Permaculture; and Dagny Døskeland, Longyearbyen school. If you want more info about the course, visit https://www.unis.no/course/ab-208-internship-arctic-biology-15-ects/. Text by Simen Hjelle (AB-208 student and bioCEED intern) and Eike Stübner. ← Previous Previous post: Welcome to our new student representatives at BIO and UNIS! Next → Next post: The bioBREAKFAST webpage is ready!